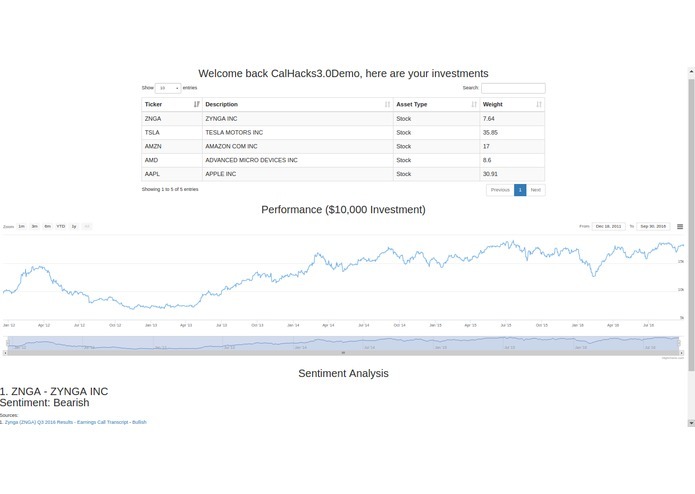 I've always been interested in fintech and both machine learning and artificial intelligence have been rising trends in fintech. 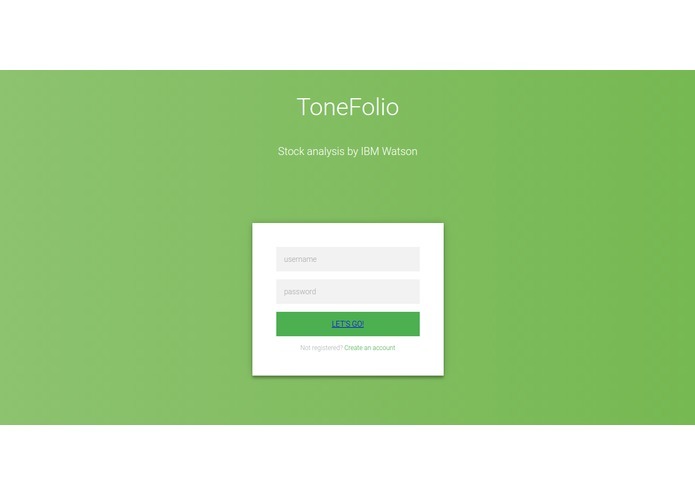 Uses Blackrock's Aladdin to analyze your portfolio and see what stocks you hold, and then uses IBM Bluemix's Tone Analyzer API to determine whether your portfolio is bullish or bearish with predictions drawn from the tone of recent Seeking Alpha articles of the stocks you hold. This is the first hackathon that I have gone solo in.